Contact lists use tags to provide filtered views of your Contacts database. 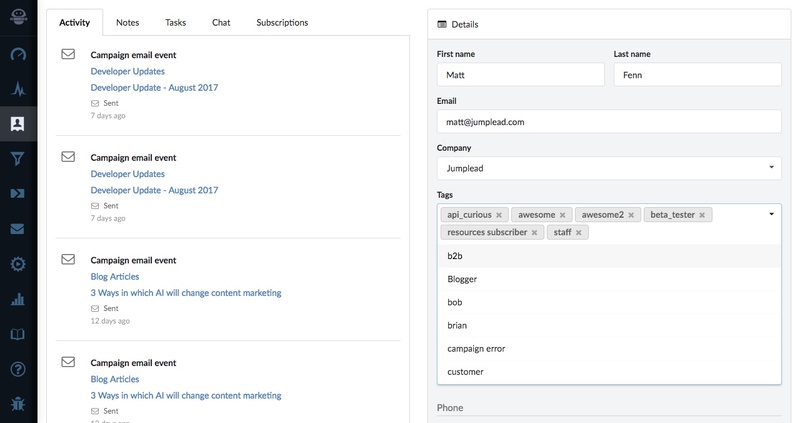 You can apply tags to individual contacts manually (or using Automations) and create Lists to make these segments of your contacts available for email Broadcast campaigns. Contact Lists use tags and are not static snapshots, the contacts included in the Lists that you create will change over time, depending upon which Contacts match your List’s criteria. Your new tag will then also be available for use in creating Lists for your email campaigns.